Just shy of midday on the 1st of August 2017 we closed the door of the FoAM studio on Koolmijnenkaai in Brussels, one last time. 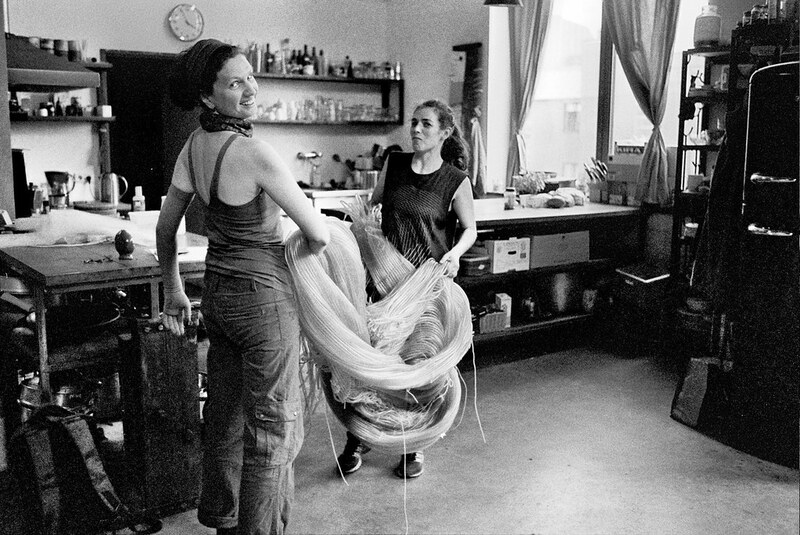 We were delighted when we first moved into our studio a decade ago. We recognised this large, bright space as an entity with its own adaptive yet demanding character. As a former flour mill built sometime in the 1800, the space lent itself to many of our experiments. 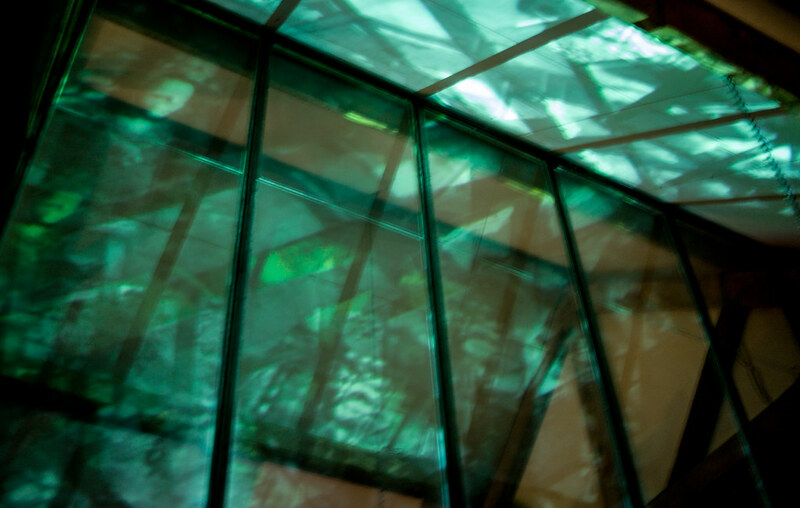 We built installations, hosted gatherings, screenings, concerts and various other events. We expanded our workshop and residency programme. We kept a library alongside the bubbling artistic laboratory. 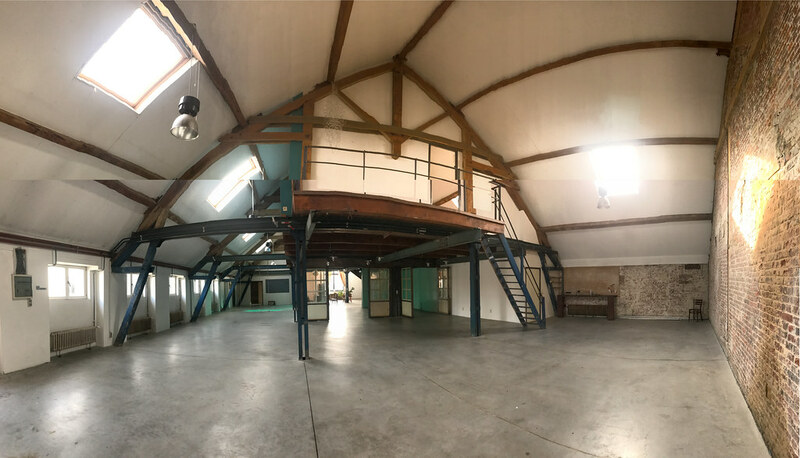 We converted the space into a fine dining restaurant, a retreat centre or a maker lab on occasion. Over the years we got to know the space and its many quirks. Its spaciousness. It's calm, focused and creative energy. Its relentless demand for maintenance. Its ability to accommodate contemplation and celebration alike. To be a home to people of different generations and continents. Its rough mystical atmosphere that awakens in the silence late at night. Its eerie voice of creaks and clicks and whispers. Its ability to hold and sediment all the peculiar traces of people and things that passed through it, while remaining uniquely itself. 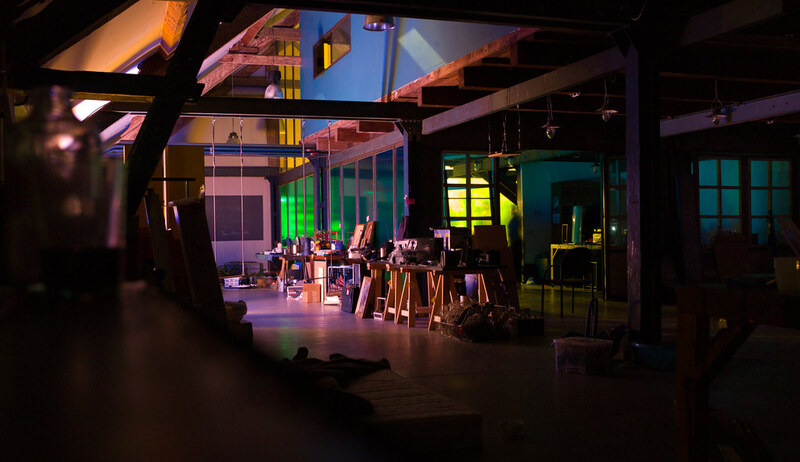 For a decade we have experimented with different approaches to managing the studio as a shared living-and-working space. In 2016 we took some distance from the day-to-day management and production to observe our work from a more detached perspective. By the end of the year it became clear that FoAM bxl needed to become lighter and more mobile. Rather than hosting others in our space, FoAM bxl will spread its work to other places, different sites, different contexts, and working with a wider range of people. 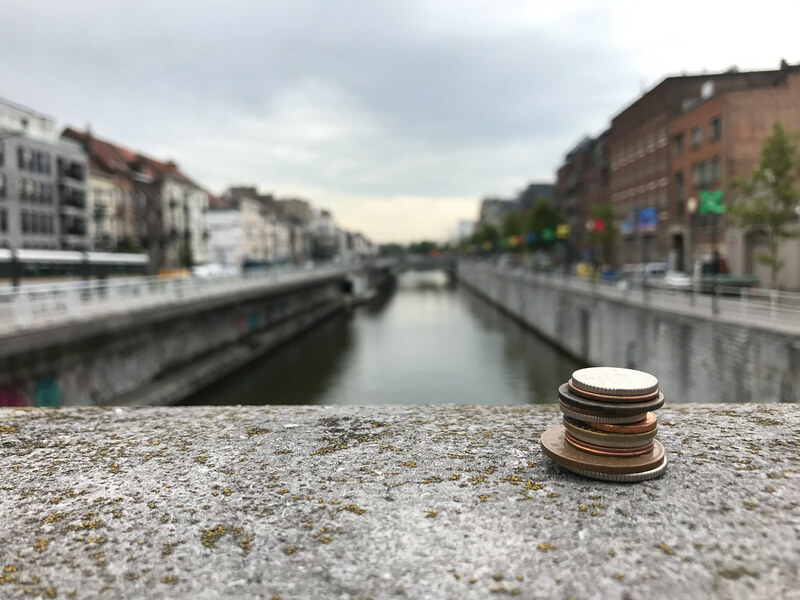 The collective in Brussels is developing into a more distributed community of practice, a group of peers from diverse backgrounds. 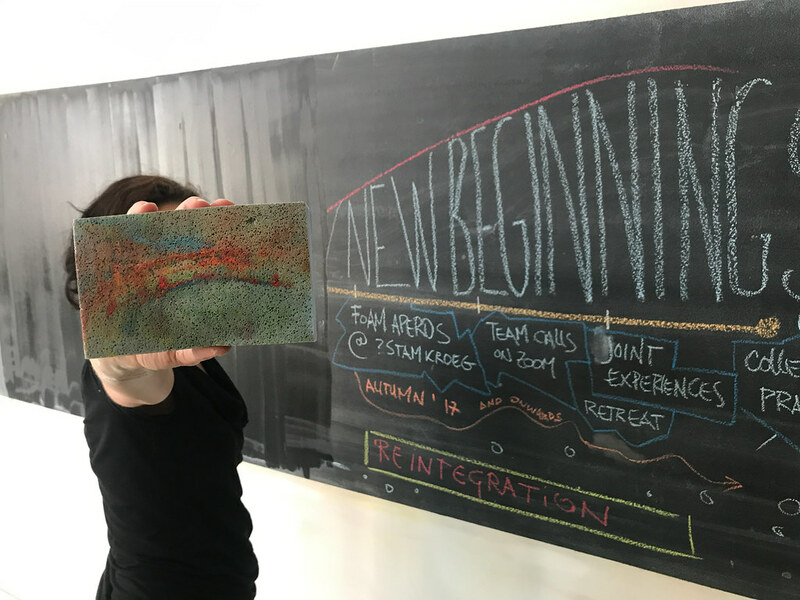 The currently active members are interested in working with (systemic) transitions, process facilitation, artistic mentoring, transdisciplinary education and action research. 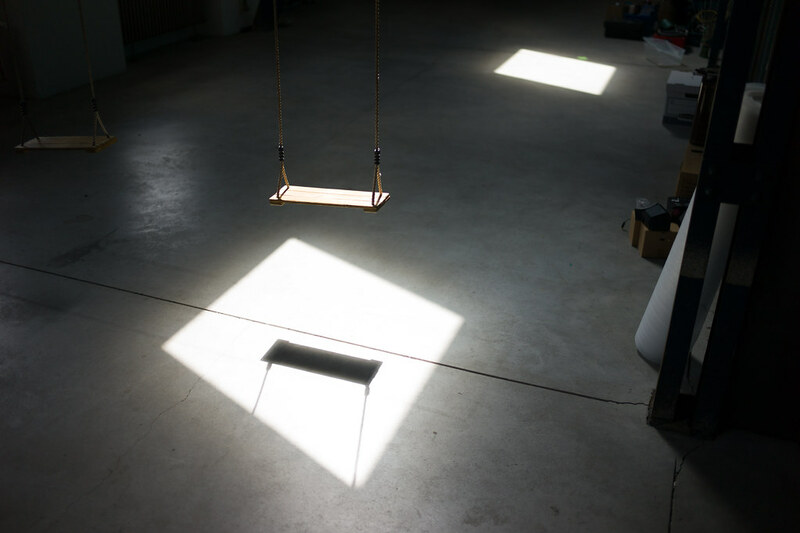 Broadening the edges between artistic creation and experimental collaborative practice. In light of the changing nature of our activities we decided that we no longer needed such a large space, and that we would move out of the Koolmijnenkaai studio, no matter how beautiful and unique it may be. We remain grateful to have been able to inhabit the space for as long as we did, but it had become time to move on. While the most visible aspects of leaving the studio involved moving stuff (a LOT of stuff!) the intangible yet no less relevant part of it was a conscious departure, a separation ritual. We were mindful of people's need to take their leave from the space, which in many cases played a significant role in their lives. Major life transitions. Unexpected discoveries. Fruitful collaborations. Traumatic break-ups. Creative breakthroughs. Children growing up. Wild parties. Delicate discussions. FoAM "family" feuds... The space witnessed many shifting relationships, personal and professional changes in FoAM's collaborators and residents. The studio had been like a home to many of us. There was a wide range of emotions people felt about the space, so there had to be as many different ways to part from it individually and as a collective. From early June until we moved out in August we had daily lunches, drinks and dinners with everyone who worked and visited the space. It was a parade of "lasts": the last AGM in the greenhouse, the last FoAM retreat in the tower, the last Apero on the couches, the last lunch in the kitchen (with an ever-decreasing number of chairs, tables, dishes and kitchen utensils). 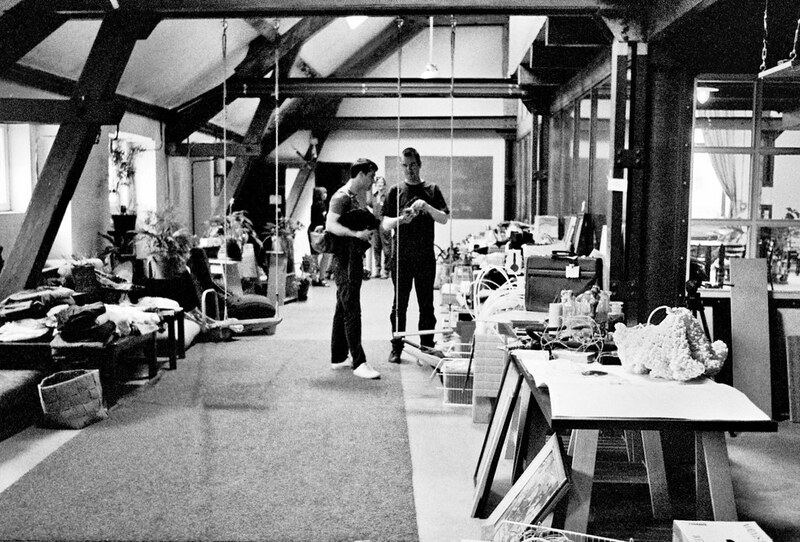 Before people would leave the studio for the last time, they usually wanted to be alone in and with the space. Everyone had their own private farewell ritual lasting from a few minutes to whole days or nights. For a space that was as social as the FoAM studio, private farewells wouldn't suffice. The closing of the studio needed to be marked in the same spirit. Hence, "The Great Ephemeralisation Party". A celebration of the space and all it made possible. The party began with one of FoAM's renown team dinners that can accommodate anyone who decides to turn up. All people involved involved had chosen a task for themselves and the setup for the party flowed effortlessly. We shared messages sent to us by people who couldn't be physically present. We raffled some "mystery boxes" filled with FoAM arcana and seemingly useless yet precious objects. We served FoAM's classic cocktails and other consciousness altering substances. We lit a ritual bonfire to burn the things that weighed heaviest on our hearts. We set off fireworks attached to rocket motors left over from the infamous Rocket Boat Day. We danced. We talked. We reunited with people we hadn't seen for years. We cried while watching a FoAM family slide-show. And danced again to Lowdjo's fantastic party mix. When we shared the studio with Lowdjo and others from the foton crew, such parties were much more frequent. The unique atmosphere of those parties came to life again, one last time. The space buzzed and blossomed, yet crumbled and cracked. We were reminded of all that was and never will be again. The energy generated reverberated for days and weeks to come, yet the next morning the space felt different, deconsecrated. All that remained was to physically move out. More easily said than done. Moving out became a creative experiment in "ephemeralisation". We, the hundreds of people who worked in the FoAM studio over the last 17 years, have accumulated an incredible amount of "stuff". Almost everyone who passed through the studio has either forgotten or deliberately left things of both rare and dubious value. This mass of things was stored with (parts of) FoAM's installations, computer hardware and electronics, cooking and gardening gear, ropes, foodstuffs, FoAM's legal and administrative archive, the library (including boxes of FoAM's own publications), and many other strange, unidentified objects. We soon realised that becoming a lighter entity without physical infrastructure was going to be heavy work. Since we envisioned the move as part of a creative process, it involved more than just a strong back to carry heavy things. It included the art of co-ordination, the science of sorting, the practice of lifting, the "magic of tidying up" and the convoluted craft of informal economics. It became a juggling act with people and "stuff" everywhere. Everything that made up the mess of "stuff" passed through the hands of the core team, at least once. The act of picking up any object, from a piece of paper to a book-shelf could become a gesture of gratitude, curiosity, or leave-taking. Test: Do you have it on display? Do you share its beauty with the people in your life? Question: Is it emotionally important? Test: Does it have a narrative? Do you share it's story with other people? Question: Is it a useful tool, piece of equipment, or appliance? Question: Are you experimenting with it? We began with the things that would remain within our network. Those in Brussels (or Belgium at least...) became the custodians of FoAM's archive, the library, research and production materials, equipment and miscellanea that are either directly related to our work or the convoluted stories of FoAM. The members of other FoAM studios were next on the list. It was touching to notice how many people took things with them to re-create the studio in their homes and ateliers, on a smaller scale, in the same spirit. A network of mini-FoAMs springing up. The studio was dispersing. 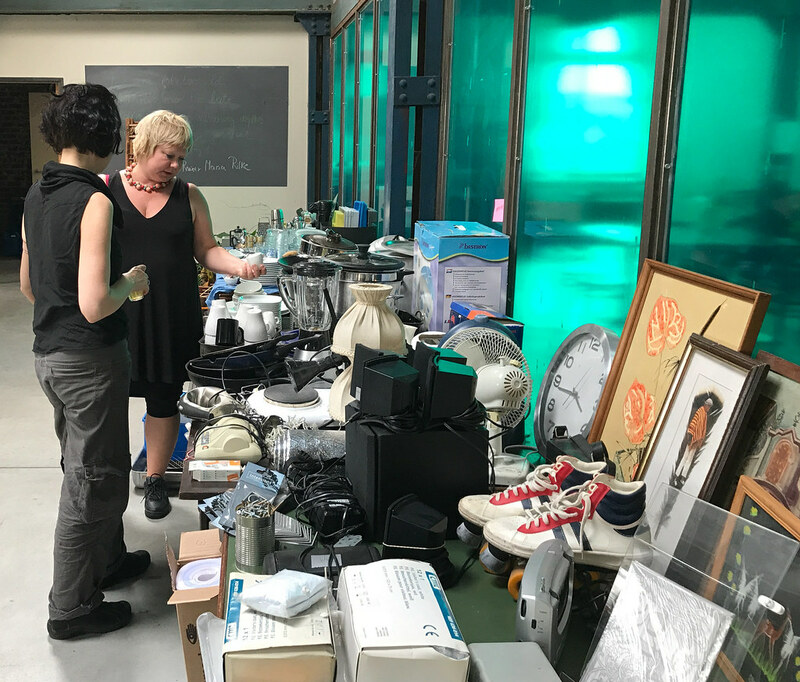 At the end of June, once all the "stuff" was taken out of storage, off shelves and spread throughout the space in a somewhat ordered fashion, we invited our neighbours to a garage sale. In true flea market style, it included furniture, freshly potted plants and antique tea-sets, books and baby-seats, high grade astro-turf, 1990s roller-skates and 1920s archive boxes, top hats and broken clocks, obscure and obsolete electronics, as well as a wide array of media-art chindōgu (including arcane body-synths or early e-paper tablets and even a fully functioning weather station). 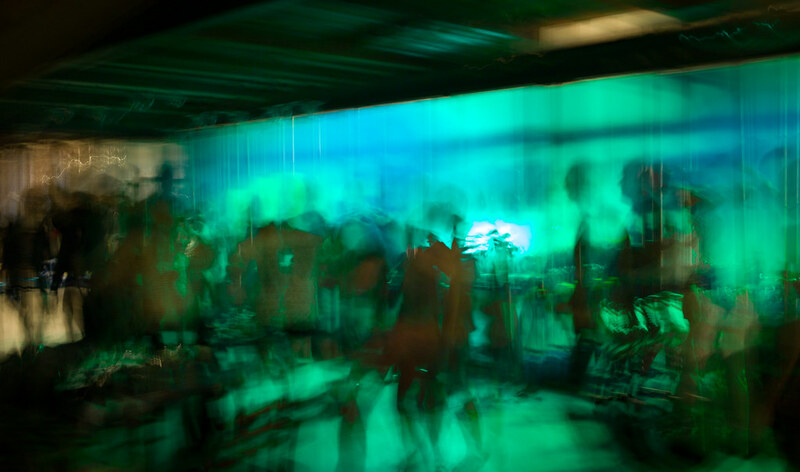 It began to scatter across all floors of the building, to Q-O2, iMAL, Fieldworks, L'Enclume, ORG, Cyclo, Atlantic, Czar, etc. We later invited a wider group of artists, collectives, organisations and schools to a more public garage sale and "donnerie". It was wonderful to see that we could make so many people happy with things we wouldn't use any more. Our old computer equipment and electronics will be used in the next Biomodd installation by the SEAD network. Our "new media" arcana (CD-ROMs and DVDs) have a home in iMALs mediatheque. The sci-fi section of FoAM's library is now on the shelves at Constant. The Flemish scouts have taken over our military-grade cooking pots and ping-pong table. 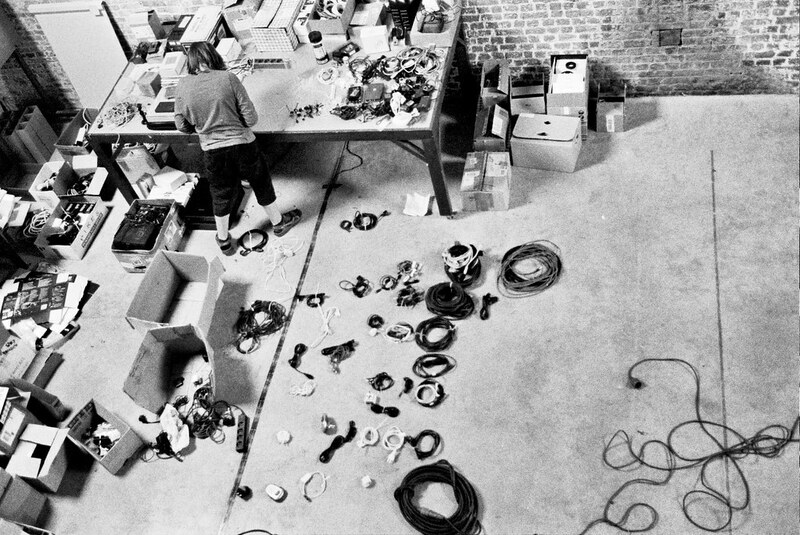 When not given or sold directly to artists and students, many of the materials and electronics went to art schools including Sint Lucas, a.pass, ERG and KABK. We donated some of our publications and media to the Bouquinerie Sablon, since we felt much sympathy with the owner's mission to fight terrorism by celebrating the multi-lingual diversity of European culture. 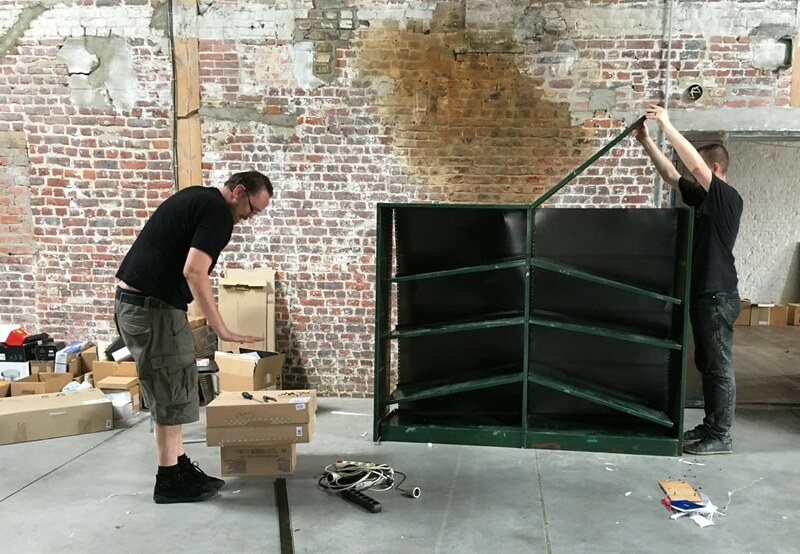 Having dispersed through the arts and cultural sector, we widened our scope and donated the more 'domestic' things (like furniture, toys and bed linen) to social organisations working with marginalised groups, including Spullenhulp/Les Petits Riens and Nasci. By mid July most people had departed for summer holidays, while Nik Gaffney and I remained to tie up loose ends. Many more loose ends than we all expected, all covered by thick layers of dust. Even after weeks of selling and donating stuff, the space wasn't yet empty. What remained were broken things, unwanted and out-of-date things, useless things. Waste. We wanted to recycle as much of the waste as possible. So, in line with our environmental and metaphysical beliefs, it was our responsibility to dispose of the unwanted things with respect to the things themselves and the ecologies they are a part of. Every trip to the recycling centre felt like a ritual, a funeral of matter. The disposal needed to be done quickly and efficiently and yet all the repeated gestures of lifting, turning and throwing took on a trance-like ritualistic undertone. 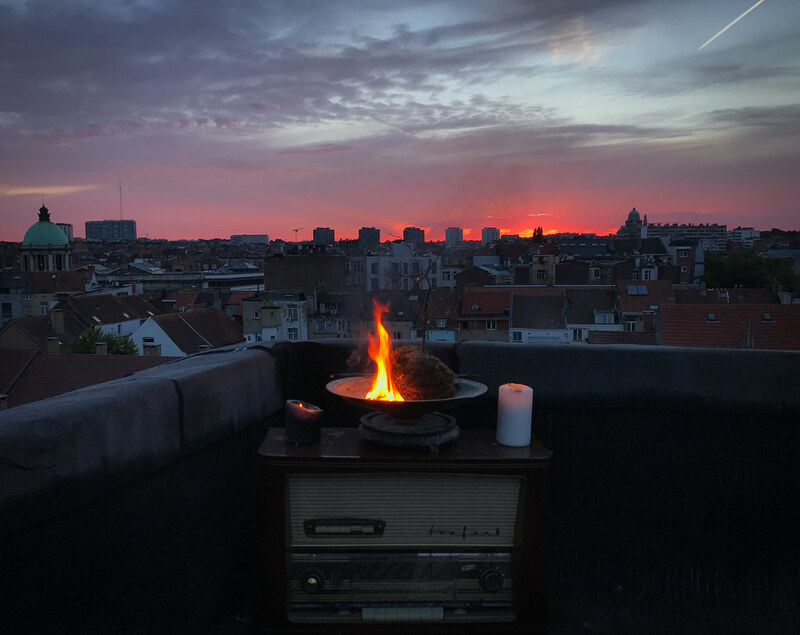 At sunset we climbed onto the roof and lit a fire with remainders of plants, incense and ashes from previous seasonal rituals. The smoke was fragrant and weightless, spreading across the city on a rising breeze. We straightened our backs after two months of bending and lifting. We felt our lungs expand. As we descended back down to the studio the air smelled clean but stagnant... We opened the windows and walked through the space "stripping" FoAM from every surface of every room. With smoke, wind and breath. We cheered with one last remaining bottle of grappa (made by my father before he died and found in a box in the library). We sprinkled the last drops on the dying fire and watched the glowing embers turn into grey ashes.